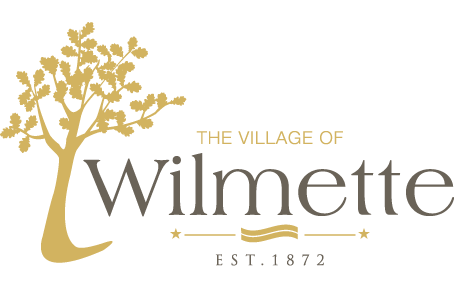 Have your blood pressure checked on Tuesday afternoons by the Village Nurse between 3:00 and 4:30 p.m. in the Wilmette Health Department office located on the second floor of the Village Hall. No appointment necessary. About one in every four American adults has high blood pressure. Once high blood pressure develops, it usually lasts a lifetime. The good news is that it can be treated and controlled. “Prehypertension” is blood pressure between 120 and 139 for the top number, or between 80 and 89 for the bottom number. If your blood pressure is in the prehypertension range, it is more likely that you will end up with high blood pressure unless you take action to prevent it. A blood pressure of 140/90 or higher is considered high blood pressure. If one or both numbers are usually high, you have high blood pressure. If you are being treated for high blood pressure, you still have high blood pressure even if you have repeated readings in the normal range. There are two levels of high blood pressure: Stage 1 and Stage 2 (see the chart below). Note: When systolic and diastolic blood pressures fall into different categories, the higher category should be used to classify blood pressure level. For example, 160/80 would be stage 2 high blood pressure. There is an exception to the above definition of high blood pressure. A blood pressure of 130/80 or higher is considered high blood pressure in persons with diabetes and chronic kidney disease.